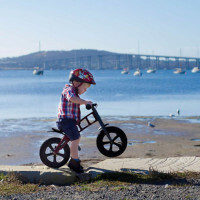 One Foot Island injects fun into playing in the sun. Our giant Tee Pee and Sun Tent are made from breathable, UV-treated fabric and feature classic, colourful beach stripes and a timber frame. The interlocking timber frames join together with plastic fittings and can be secured to the ground with included ground pegs and wind-ropes. Our fabrics feature classic stripes in muted tones creating a European feel. Both designs go up in 10-15 minutes. 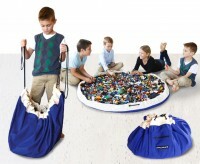 The portable carry bag makes it easy to transport and toss in the boot. Includes free ground mat. Our classic Tee Pee is large enough to easily shelter three adults. Made from a beautiful timber frame, the tee pee stands almost two meters tall with a 2 metre diameter base. 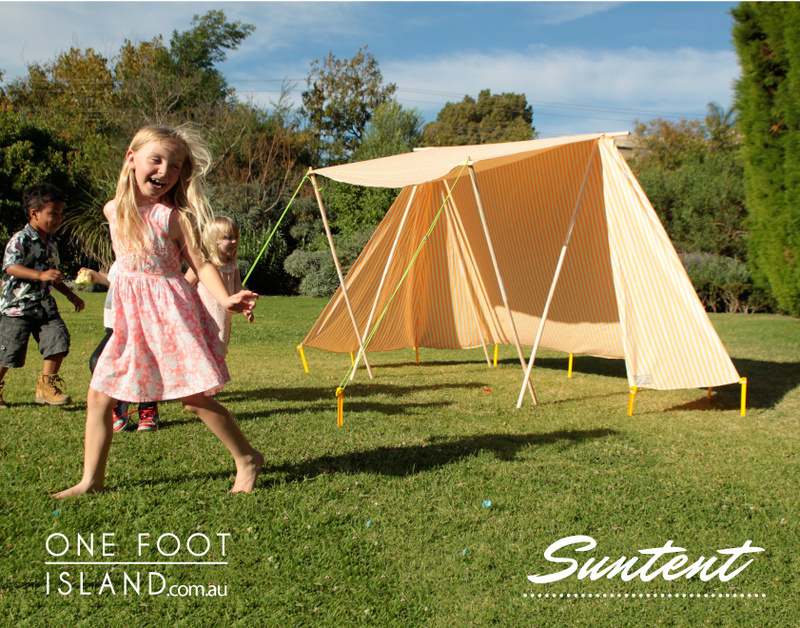 Designed with fabric ties for added privacy and added ground loops to secure the tee pee to the sand or ground. 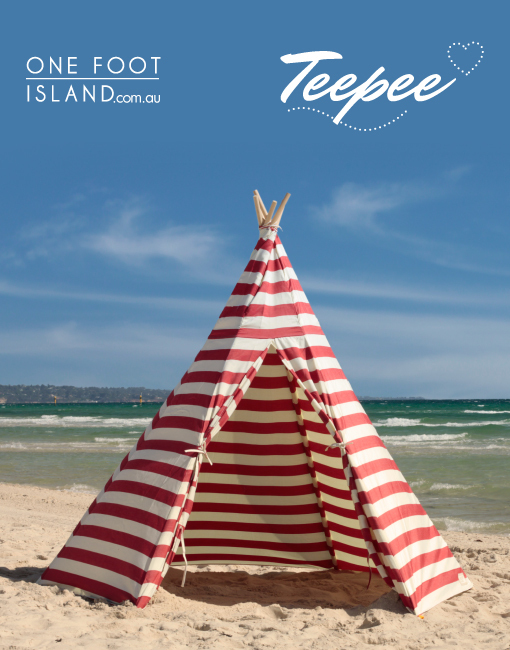 The One Foot Island tee pee is also perfect for kids’ playrooms and the backyard. Decorate with cushions, fairy lights, paper lanterns and throws. Available in 2 colour combinations: large red and white or peppermint and white stripes. The Sun Tent is roomy and wide, featuring a front flap which can be angled for more or less shade. Measuring approx 2.2m high x 1.8m wide x 1.65m deep. Based on a medieval Saxon design, the design features a gentle curve at the back for added room. This unique Sun Tent is supported by a strong, wooden A-frame and included wind ropes. Available in 2 colour combinations: thin blue and white or tangerine and white stripes. Founder, Natashia Ting is a factory girl. At home in hi-vis workwear and steel-capped work boots, she runs a busy family business importing, manufacturing, sourcing and distributing landscape garden products. “I’ve learnt so much running the family business but I really needed a creative outlet; something to call my own. When I’m not at work, I love hanging out outdoors. And I thought, ‘There has to be a way to embrace fun and freedom along with style and functionality when you’re out in the sun’”, she says. “I love the classics; retrospective stuff and I’ve tried to re-work old fashioned designs for today’s needs”.